Academy status may bring schools more autonomy – but it also creates extra pressures at the business end, sometimes overwhelmingly so. Nick Bannister talks to school business managers about the new challenges they face. Since the government announced it was expanding the academies programme in May 2010, some 1,500 secondaries have converted, and this number is expected to rise to 50 per cent of all secondary schools by the end of this academic year. The new status brings with it greater freedom alongside major new responsibilities, many of them coming under the remit of business managers. And some are feeling the pressure as a result. “What’s becoming apparent is that the significant increase in workload hadn’t been expected,” says Val Andrew, ASCL’s business management specialist, who had had feedback from dozens of members. Converter academies bring with them a huge number of additional tasks which lie within the remit of the business manager, she says. They include a wide range of statutory financial reporting requirements; managing contracts for services previously bought back from the local authority such as human resources, payroll, legal services, insurances and policy guidance; facilities management; and support for other local schools – often as part of the academy application. The journey from community school to academy has been a challenging one for business manager Lisa Williams and her team at Moulsham High, a 1,600 pupil school in Chelmsford that converted to academy status in July 2011. 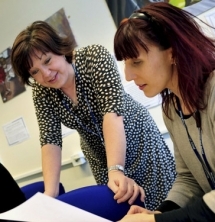 “My workload is phenomenal but I do have a very supportive headteacher and governing body,” she says. “I’ve been allowed to take on additional staff to deal with the increase in workload and have doubled my team. I used to have a finance team of two and it now stands at four – a finance manager and three assistants – although one of those posts is temporary. One of the major challenges for Lisa and her team has been in adapting to the new financial reporting procedures demanded of academies. School accounting years usually run from 1 April to 31 March, but those that convert to academy status change their accounting year to 1 September to 31 August. Lisa says that this has made financial planning easier but as government accounting runs on the original financial year she is still required to deliver a financial report for 31 March. But overall, the challenges of academy conversion are outweighed by the benefits, she believes. As well as benefiting from a financial boost, the school is also experiencing some of the freedoms promised by government. Val hopes the experiences of the first wave of academies will provide lessons for future converters. One of the key learning points for future academy converters is to carry out a full staff structure analysis and ensure that this is included in the budget projections for the conversion process, she says. “The business manager needs to have well organised and efficient middle managers taking the strain of operational management in issues like facilities management, ICT management and catering,” she says. Micon Metcalfe is business director at Dunraven School in south London,which converted t to academy status last August. However, because the school previously had foundation status, it meant that it was already used to operating relatively independently of the local authority. “It meant that processes like TUPE were a lot smoother,” she says. Micon agrees that there had been a lack of support and guidance as the school moved through the conversion process, but she says that the old certainties of yesterday should no longer apply in this new era. “I’m not sure that as academies we should rely too much on bodies such as the YPLA and others for advice and support and it would be wrong to say it should all be systemised in a manual for us,” she says. To help tackle some of the business management challenges posed by academy status, Lisa Williams has joined up with local colleagues to establish an online network of almost 50 business managers who share their questions and concerns on an almost daily basis and meet once a term. The approach chimes with Sandy Woodcock, finance and facilities manager at Ribston Hall High, an 820-pupil selective girls’ school in Gloucester. Micon Metcalfe also believes that sharing approaches with other business managers in similar positions is absolutely critical. She has just been designated a Specialist Leader of Education (SLE) by the National College for School Leadership. This role will see her working with other schools across a Teaching School partnership, sharing her specialist knowledge and supporting and advising other business managers on their development. Schools hoping to convert will need to think carefully about training and development and how it is funded, says Val. As the academy conversion programme proceeds apace business managers will need to look more to within their own ranks for solutions and support, she agrees.